This is a lesser-known buttery Dutch treat. 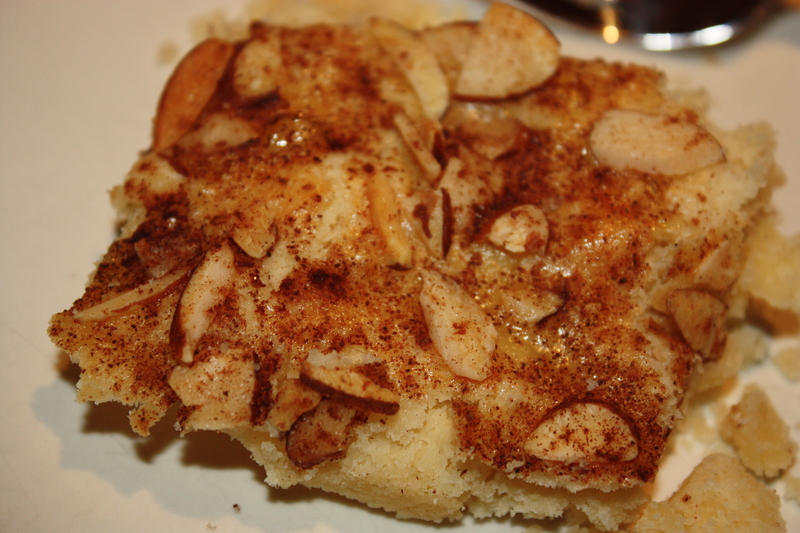 While the ingredients are similar to boterkoek, Jan-Hagel is a flakier square flavoured with cinnamon and almonds. This was one of my mother’s standby recipes, and we made it more often than boterkoek. It is fast and easy, and you can put it together for last minute guests. When I shared this recipe, another Dutch friend Christine, said that in their recipe they didn’t use cinnamon, so perhaps that is an addition from my family somewhere along the way. 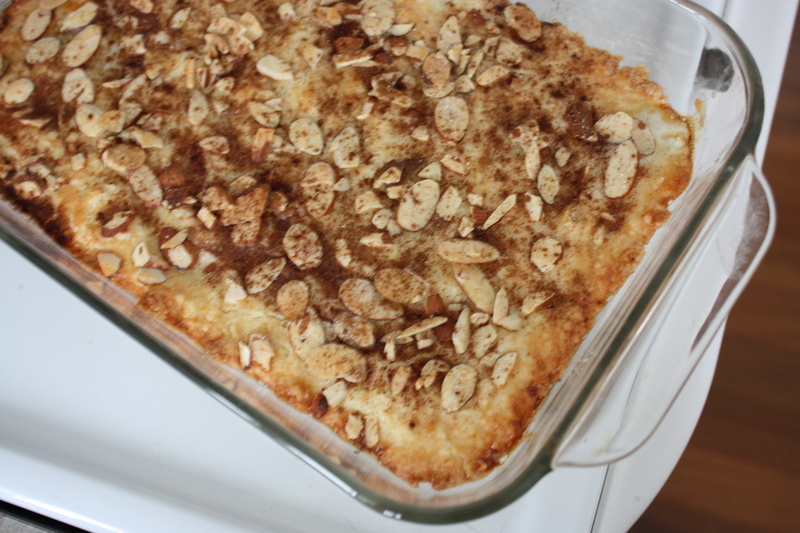 I am not sure what is “right” if we can call a recipe right, but I do like the cinnamon. 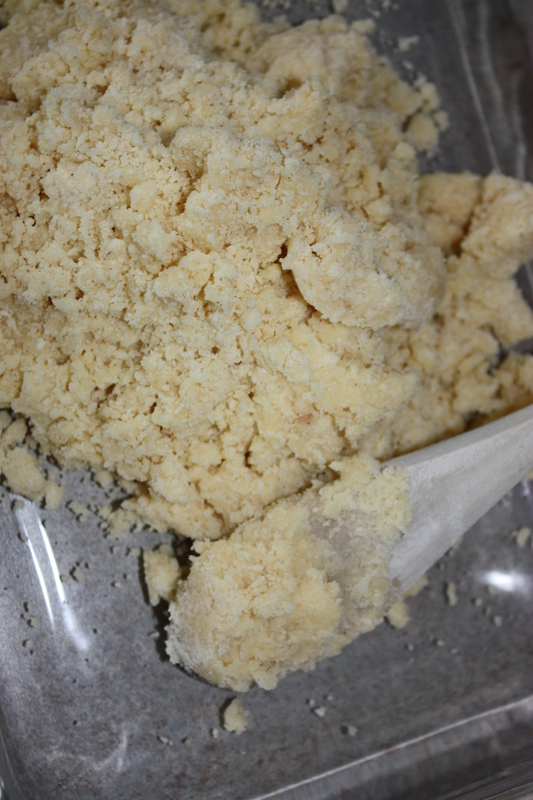 Mix in flour and cinnamon until crumbly. Brush slightly beaten egg yolk on top. 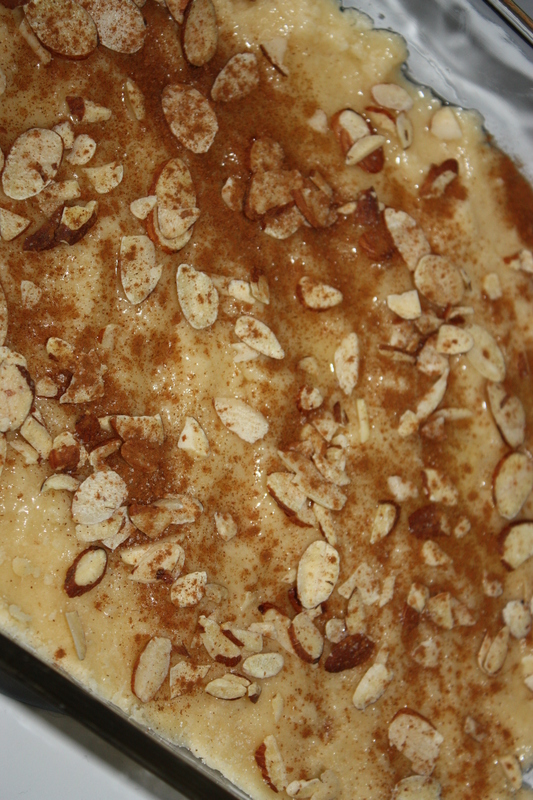 Sprinkle with slivered almonds, cinnamon, and sugar. Bake for 15-20 minutes in 375°C oven.